Well, it could certainly up Democratic viewership. Alec Baldwin — actor, famous brother, infamous Donald Trump impersonator — has offered to perform on Inauguration Day. His song of choice? AC/DC's "Highway to Hell." 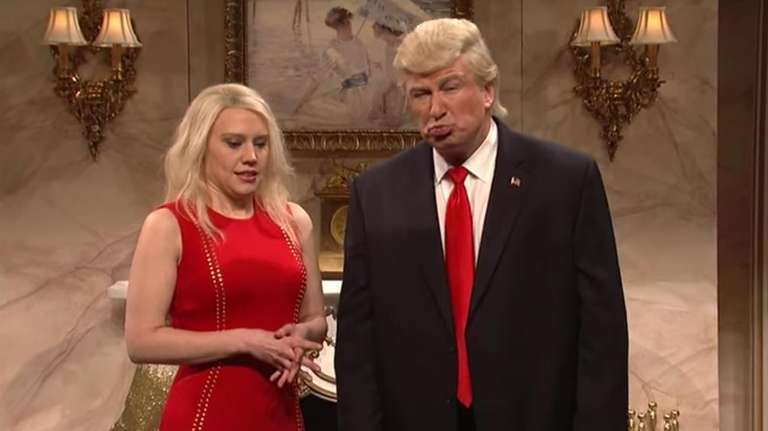 Baldwin, who is still waiting for a response from the president-elect for his final "Saturday Night Live" Trump sketch of the year — opposite Kate McKinnon as Kellyanne Conway – took to Trump's communication mode of choice to state what he'd like to be doing on Jan. 20. On Friday, from his Alec Baldwin Foundation Twitter handle, Baldwin posted, "I wanna perform at Trump's inauguration. I wanna sing HIGHWAY TO HELL." On Thursday, a series of tweets, also from the Alec Baldwin Foundation's account, brought to mind another hard rock favorite: Europe's "The Final Countdown." "We are not far from the day when the most reviled candidate in our history will become President. Unwanted by a significant majority of voters. A man who has projected little other than an empty braggadicio [sic] and synthetic rhetoric about both his qualifications and plans. But Inauguration Day means the beginning of the countdown to when he will be gone. And he will be gone. January 20. The countdown begins."